The world high jump record may live to see another day, but after three more failed attempts at the Mohammed VI d’Athletisme IAAF World Challenge meeting in Marrakesh, world champion Bohdan Bondarenko is at the very least getting more and more familiar with trying to clear a bar set at 2.46m. Before moving the bar to that height, Bondarenko already had victory in the bag. Following first-time clearances at 2.25m and 2.33m, he watched as arch-rival Ivan Ukhov bowed out of the competition with three failures at 2.37m. The Russian, who has a season’s best of 2.41m, once again had to play second fiddle to the Ukrainian star after getting over 2.33m on his third attempt. 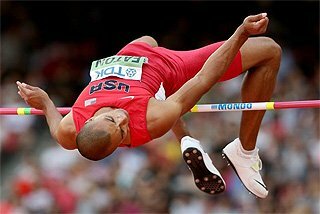 Bondarenko then cleared 2.39m on his second try – just his fourth leap of the entire competition – before attempting to break Javier Sotomayor’s world record. It was not to be on this occasion, but Bondarenko could take some consolation in the fact that he broke the African all-comers’ record and smashed the meeting record. 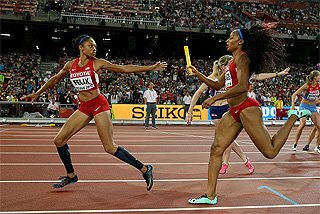 The meeting formed part of the IAAF Hammer Throw Challenge as the women’s event was contested in the stadium that will host the IAAF Continental Cup later this year. US record-holder Amanda Bingson took an early lead with 70.42m, but was soon overtaken by Germany’s Kathrin Klaas, who threw 73.09m in round two. That remained the best mark of the competition until the final round when Canadian record-holder Sultana Frizell threw 73.21m, but Klaas responded with the last throw of the competition, sending her implement out to 73.30m. World and Olympic champion Tatyana Lysenko was ultimately not a factor and finished eighth with 65.40m. Bingson’s 70.42m was only good enough for fourth place, but it gave her enough points to take the overall lead in the IAAF Hammer Throw Challenge standings. In just her second outdoor race on the professional circuit, world youth silver medallist Dawit Seyaum made a stunning breakthrough in the 1500m. After pacemakers led the field through 400m in 65.32 and 800m in 2:11.38, the 17-year-old took up the running. She kicked on at the bell and never looked back, winning in 3:59.53 to take almost 10 seconds off her PB. Not only was her time a meeting record, it also broke the Ethiopian junior record. With this being her first outdoor race of 2014, Seyaum will likely improve on that mark as the season progresses. More than six seconds behind, Russia’s Anna Shchagina finished second in a PB of 4:05.58. 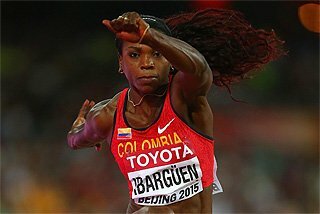 It has been almost nine years since Tianna Bartoletta won the world long jump title. Having spent most of the past four years focusing on sprinting, the 28-year-old from the USA has this year made a serious return to long jumping. 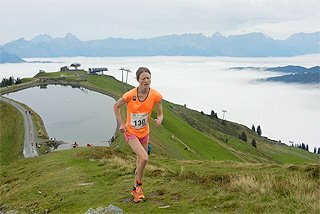 With her newfound speed, she is now a genuine contender once more. In Marrakesh, Bartoletta flew out to a world-leading 6.93m (0.2m/s) in the second round, breaking the PB of 6.89m she set when winning the 2005 world title. Compatriot Funmi Jimoh finished second with a season’s best of 6.74m and Russia’s 2011 world silver medallist Olga Kucherenko was third with 6.70m. 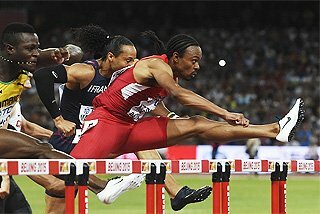 Former world champion Kim Collins, now 38, won the 100m in a close finish as just 0.04 separated the top four finishers. Aided by a 1.6m/s breeze, Collins won in 10.13 from Qatar’s world indoor bronze medallist Femi Ogunode, 10.14. Jamaica’s Kemar Bailey-Cole was just 0.02 behind Ogunode with Gerald Phiri taking fourth in 10.17. Later in the evening, Ogunode returned to the track in the 200m and this time achieved victory, clocking a national record of 20.16 and breaking the meeting record in the process. Jamaica’s Jason Livermore finished second in a season’s best of 20.28. The meeting record was also broken in the women’s 200m as Simone Facey led a Jamaican 1-2, winning in 22.70 from Aleen Bailey (22.89). World champion Mohammed Aman left it late in the 800m and for a moment it looked as though two-time world indoor champion Abubaker Kaki would secure his first victory for almost two years. Having been led through the first lap in 50.60, Kaki held the lead as the field came off the final bend and the 2011 world silver medallist appeared to have a comfortable lead. But Aman, who was in third with 100m to go, began to claw back the deficit and edged ahead just before the finish line to win in 1:45.58, just 0.03 ahead of Kaki. 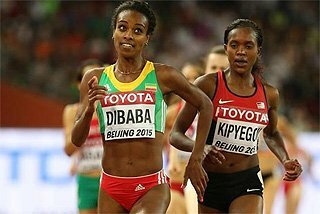 There was another Ethiopian victory in the women’s 3000m steeplechase. World cross-country silver medallist Hiwot Ayalew shook off the challenge from Bahrain’s Ruth Chebet over the final two laps and won easily in 9:24.11. Chebet, the Asian champion, held on to second place and smashed her PB with 9:27.90, a world age-17 best and Asian junior record, taking her to second on the Asian senior all-time list. 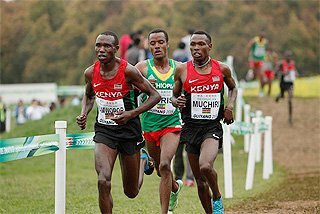 The men’s steeplechase was won by Kenya’s Clement Kemboi, holding off Morocco’s Olympic finalist Brahim Taleb, 8:18.73 to 8:20.20. The loudest cheers in the Grand Stade de Marrakech were for 1500m winner Sadik Mikhou, the only Moroccan winner of the meeting. 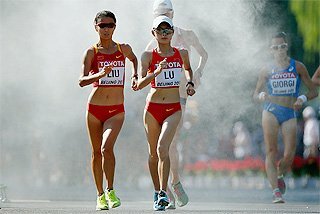 The 23-year-old had competed at three previous editions of the meeting in three different events. 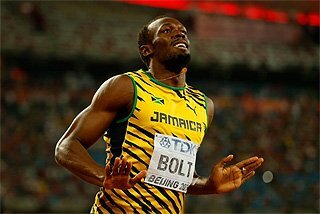 In 2010 he finished 11th in the 800m ‘B’ race, then one year later placed eighth in the 1000m. Last year he was 14th in the 1500m, but despite having set an 800m PB of 1:46.55 this year, nothing suggested that he’d have the beating of the quality field in Marrakesh. 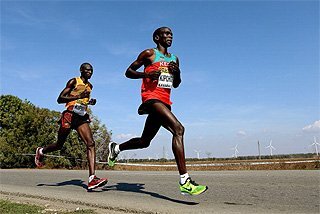 The pace was modest, which only served to set up a frantic final dash for the finish line. Mikhou made his way through the field and took the victory in 3:34.36, finishing 0.40 ahead of 2012 world indoor silver medallist Ilham Tanui Ozbilen of Turkey. Although it was a second outside his PB, it was the manner of Mikhou’s victory which suggests that he is on the verge of a breakthrough. Ethiopian record-holder Aman Wote was fourth, while Morocco’s 2012 world indoor champion Abdelaati Iguider was further back in ninth. 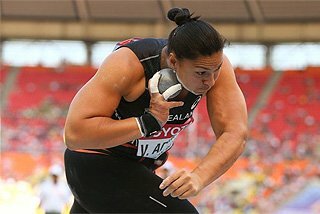 World and Olympic shot put champion Valerie Adams may not have landed her implement past the 20-metre line, but she didn’t have to as she still won by almost a metre. Of her three valid attempts, her best was her second-round effort of 19.69m. Ukraine’s Halyna Obleshchuk, who recently improved her PB to 19.40m, was Adams’ closest challenger, finishing second with 18.82m. World bronze medallist Dmitri Tarabin was the only man to break the 80-metre line in the javelin, setting a meeting record of 81.27m to win by more than two metres from Estonia’s Risto Matas (79.03m). The closest contest of the meeting was in the women’s 400m hurdles, where South Africa’s Wenda Theron caught USA’s Tiffany Williams on the line as both were timed at 54.82. It was a PB for Theron and was made sweeter when she was awarded the victory. The shorter hurdles event was won by two-time world indoor champion Lolo Jones, who ran a season’s best of 12.74 to win from fellow US sprint hurdler Kristi Castlin (12.81). Elsewhere, Bahrain’s Albert Rop won the 5000m in 13:14.45, Marina Arzamasova took the 800m in 2:00.71 and Tosin Oke won a close if unspectacular triple jump contest with a wind-assisted 16.62m. 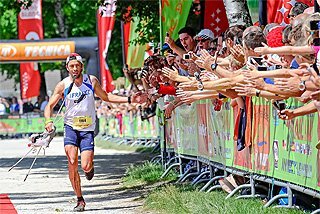 Former world champion Nelson Evora jumped the same distance with a legal wind but took second place on count-back as just four centimetres separated the top four finishers.